Major culinary influences present in Spanish food, including French, African and Moroccan are all over the board, due to the country's long multicultural tradition. Bounded on one side by the Mediterranean Sea, Spain is also a gateway to rich Italian and Greek cultures and cuisine. In short, Spain is a veritable gold mine for hungry culinary arts students. The large country's national fare is characterized by distinct regional tendencies, providing a wealth of palate building variations, to keep student chefs engaged in off-campus studies. Culinary education takes many forms, so in Spain, learning opportunities are not defined by a particular model. Several full-blown professional culinary arts schools operate in Spain, and their presence is supplemented by a myriad of smaller-scale cooking schools. Spanish cuisine calls for utilizing the ingredients on hand, to create hardy flavorful meals. Seafood is a consistent bounty present in most regional Spanish fare. Seafood stews and other spicy preparations are a nod to the country's historical maritime culture. Dry cured ham is a Spanish delicacy, aged in cliffside caves for extended periods of time, to produce complex, smoky and sweet flavor profiles coveted by chefs. As a student chef in Barcelona, you will sample this ham at the base of the rock face. Piquant cheeses are another national treasure when paired with exquisite wines from hillside vineyards. Sausages, some spicy, are another practical feature of local markets. Well-preserved meats are sampled at various points throughout their development, partnered with daily bread from distinctly local bakeries. Sausage stews with beans are staples on native menus, with Gazpacho and Calamares. Spanish tapas, and inventive seafood dishes, propel the progressive culinary trends in Spain's metropolitan areas. An accomplished list of Spanish chefs serve at “best of” restaurants in Madrid and Barcelona—two of Spain's hottest tourist destinations. Charismatic celebrity chefs have inspired new generations to the industry, not only in the U.S., but internationally, and in Spain. Creative and ambitious new menus feature fusions and re-inventions of classical Spanish dishes. In recent decades, Spain has built a successful wine industry, which acts as the perfect compliment to her colorful modern food culture. While you study in Spain, an essential part of your culinary education includes a trip through the local food scene. Sample from the menus of notable restaurants in Cuenca, Bilbao, and Malaga. This is a big country with distinct regions and geography, so the gastronomic bounty available to you is limited only by your ability to travel. Taste with an eye toward creative uses of seasonal ingredients, and regional diversity. Along Spain's lengthy coastline, fish and shellfish provide fresh access for gourmet inspired fine dining, and also for simple everyday dishes. Further inland you'll wild native game, inventive tapas locally produced wines. Hospitality and restaurant sectors are strong in Madrid and Barcelona, which drives a perennial need for well-trained culinary arts professionals. Le Cordon Bleu Madrid is where to study if you are committed to the classical French culinary tradition. The original Le Cordon Bleu, in Paris sets the gold standard for a comprehensive culinary arts education. 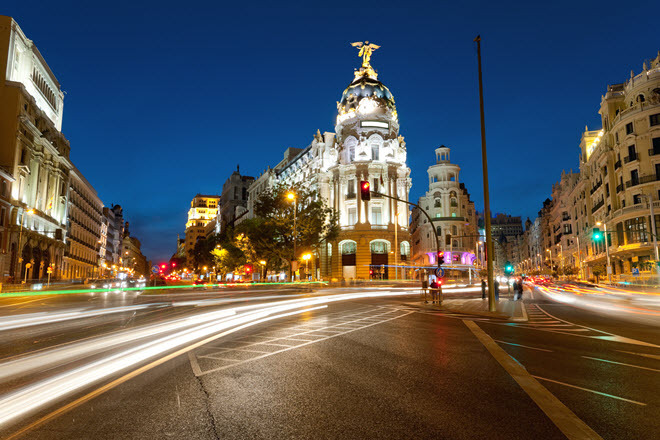 The curriculum used in Madrid, and at the rest of the educator's worldwide campuses, holds true to the time-honored tradition established by the French school. Le Cordon Bleu has becoming known for incorporating a liberal dose of local flavor into each school's syllabus. That means you'll be up to your toque in Spanish cooking exposure at the Madrid LCB. The world-famous Parisian program trains chef professionals through standardized classroom and kitchen laboratories, and then illuminates local gastronomic trends, for a specialized regional experience. Courses are taught at Universidad Francisco de Victoria and include: Le Cordon Bleu Grande Diplome and Bachelor's in International Hotel and Restaurant Management. Escuela Universitaria de Hosteleria y Turismo de Sant Pol in Barcelona emphasizes hospitality management, within their program offerings, but also provides solid fundamental education in food service management. Key areas of study are Hospitality and Catering. Spain's educational landscape for culinary enthusiasts contains an array of courses and seminars designed for leisure learning. Immersive, weeklong programs often impart Spanish language understanding and cultural history alongside hands-on kitchen instruction. Since regional cuisine in Spain is characterized by wide diversity, small local cooking schools are an important conduit for authentic exposure to native dishes. As an example of the sort of variety of options available, the island of Mallorca is home to Stephanie Prather's Sabor Vegan Culinary Academy. 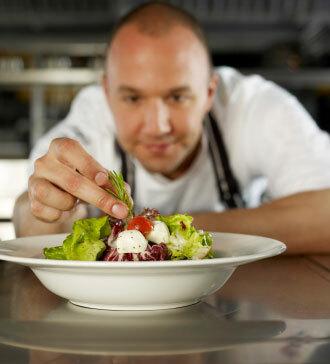 As a professional chef, or chef student, short-term forays into very specific areas of cooking provide consistent ways to master these topical specialties. 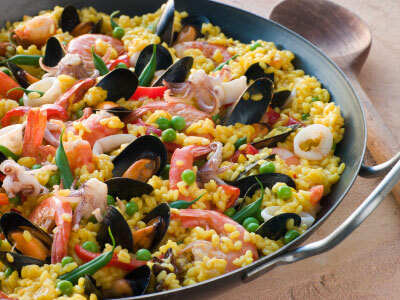 Learning to make Paella, in Valencia, is a resume entry, for which there is no substitute. Class settings are intimate, leisure affairs that provide the perfect counterpoints to your focused on-campus culinary arts training. Spanish wine country is explored for its significant contribution to the national gastronomic culture. Preparing rustic Spanish food, and then pairing it with locally produced wines provides a foundation for culinary growth that cannot be gleaned in a classroom.